Influential educators Shaelynn Farnsworth and Steven W. Anderson introduce a course where you can find the answers to these questions and more. In partnership with Participate, explore what it means to be a Tech-Savvy Teacher. From Shaelynn – In 2008, the district I worked in adopted a 1:1 Laptop Initiative. Through this initiative, every student and staff member in grades 9-12 were given a laptop. Students and staff members were not only able to use technology in the classroom but were able to bring their computer home with them each night. Ubiquitous technology shifted the educational landscape in our building. Along with reimagining learning, I also quickly learned that traditional and evidenced-based practices looked different in the classroom. Every day brought a new opportunity to provide my students relevant and engaging learning. It also helped me become a better educator as I analyzed and reflected upon my classroom and craft. 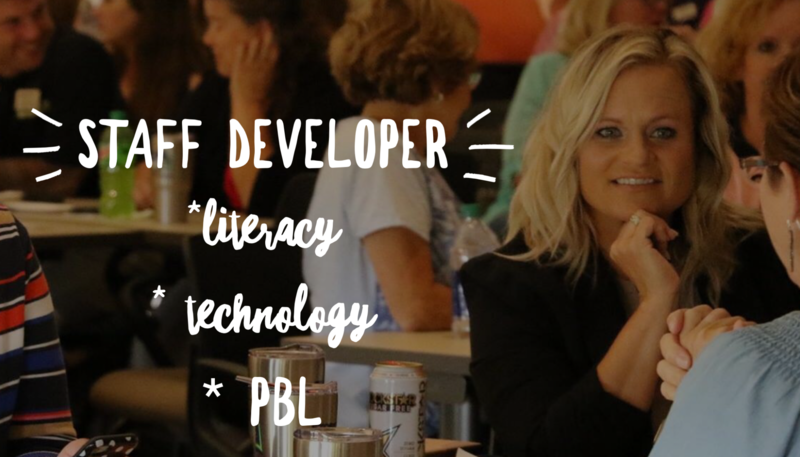 From Steven – When I was leading a large technology program in NC as Director of Instructional Technology we invited a group of teachers to spend an afternoon talking to us about a new Bring Your Own Device Initiative we were undertaking. What my team and I wanted to understand was what teachers believed would need to change when the devices are the smartest in the room? We thought we’d hear questions about how to teach or was to incorporate the technology more seamlessly. What we got were questions about the latest apps or websites that were flashy and fun. Steven Anderson and I are pleased to offer a new course through Participate. This course focuses on 6 Areas of Development we have identified on having a high impact on student learning and teacher professional learning when integrated with intentional technology.